Day 20 of 365, a photo by Gordon McKinlay on Flickr. A beautiful sunny day in January. 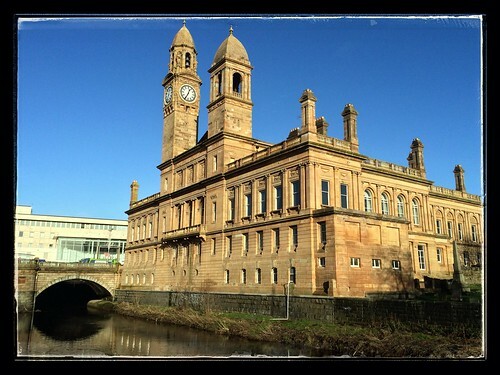 Paisley Town hall is looking particularly beautiful on a sunny day like today. All the stonework has been cleaned and restored. Even although it is the middle of winter there was a little warmth in the sun. A photo a day for 2014. This entry was posted in Professional and tagged 2014, challenge, Flickr, January, journal, one a day, photoaday, photography, project 365 on 20 January, 2014 by Gordon McKinlay.